Seashells are some of the most beautiful and interesting objects. They are colorful and they come in a large array of shapes and sizes. Most seashells belong to mollusks which are soft boneless animals that are generally aquatic. They include snails, clams, scallops, oysters and mussels. The shell is mostly made of calcium carbonate and is secreted by the animal. The shells provide protection for their owner. When they sense danger from the predators the mollusks shut themselves off in the shell. Two of the prominent groups of seashells are Univalves which have a single shell and Bivalves which have two shells hinged together. Snails have Univalve shells. One of the most commonly identified Univalve shells is the conch shell which comes from large snails. It has the familiar spiral shape with a large open lip. Horse conch is one of the largest Univalve shells which measures up to 2 feet and is found in Florida. Clams, scallops, oysters and mussels have the Bivalve shells. They have the familiar fan shape with ridges. The giant clam of South Pacific has one of the largest Bivalve shells and it can grow up to 4 feet long. But most Univalve and Bivalve shells are of modest size that can be held in a human hand. Spirals and fans are not the only shapes that the shells come in. 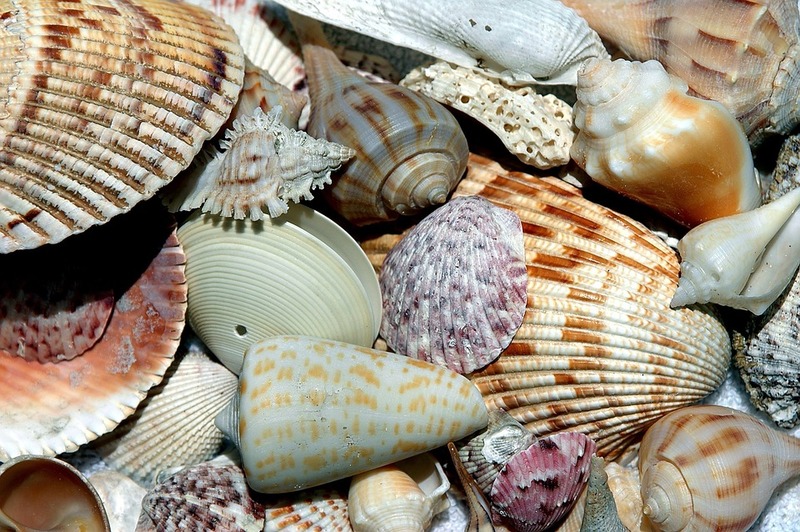 There are over 100,000 kinds of mollusk shells with a wide variety of designs and shapes. Seashells are used in jewelry, decorations and ornaments. Artisans make beautiful shapes of animals and dolls using various shells. Conch shells are used as paper weights and as lamp bases. They are also used as musical instruments in some parts of the world. Legendary Hindu warriors blew Conch shells to signify the beginning of a battle, much like trumpets are used today. Indeed, seashell usage was traced back to the Stone age. Jewelry made of shells was found at many archaeological sites like Aztec ruins, ancient China, and the Indus Valley. Various shells were used as money by the pre-historic people as well as native people of North and South America. Seashells can be fun to collect. For people who are just satisfied with looking, Smithsonian Institute has the largest collection of mollusk shells. About the Author: Amita Vadlamudi who has worked in the computer field loves to visit museums and watch collections of sea shells and other natural wonders. Amita Vadlamudi also likes to research into the science and history behind those objects. This entry was posted in Uncategorized and tagged Amita vadlamudi, Seashells on September 2, 2017 by wpadmin.